First you need to ask yourself what “strong coffee” even means. A tired person asking for strong coffee is probably looking for extra caffeination. Other people asking for strong coffee could be referring to the bitter taste, the dark color, or the type of roast. So, figure that out first, because the answer is not the same for all of those. Now, rather than simply answer what makes coffee strong we will instead answer how to change each of the variables that makes coffee be considered strong. What coffee brewing methods get the most caffeine? 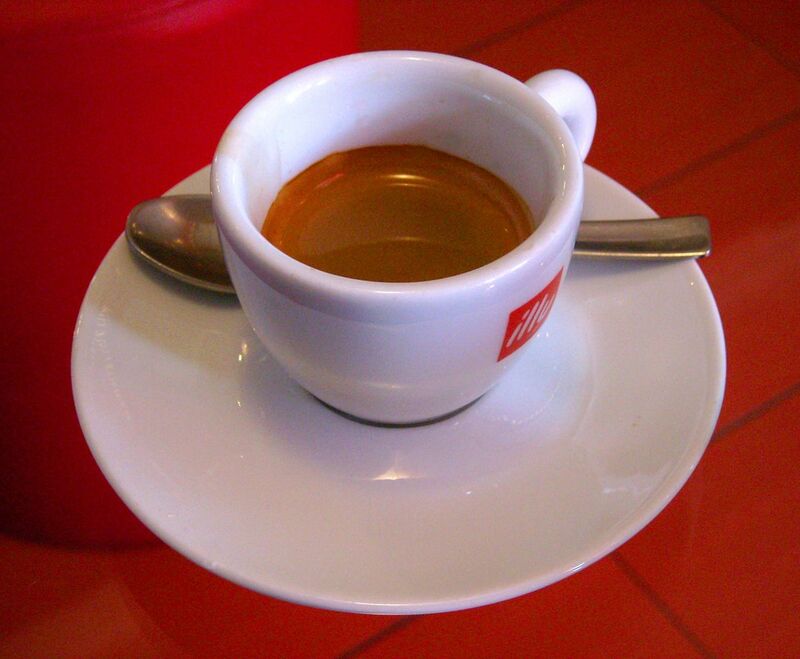 When it comes to caffeine per ounce, you cannot beat an espresso. An espresso machine uses pressure and heat to pull everything from the coffee grounds. When this happens you get a thick foam and a higher concentration of caffeine. It is important to note, however, that overall espressos have less caffeine than a cup of coffee. The reason you feel perkier from an espresso shot is because you are taking it all in at once, whereas a coffee you are likely sipping for an extended period of time. That is, unless you are doing double or triple espresso shots, then, well, you’re awesome. 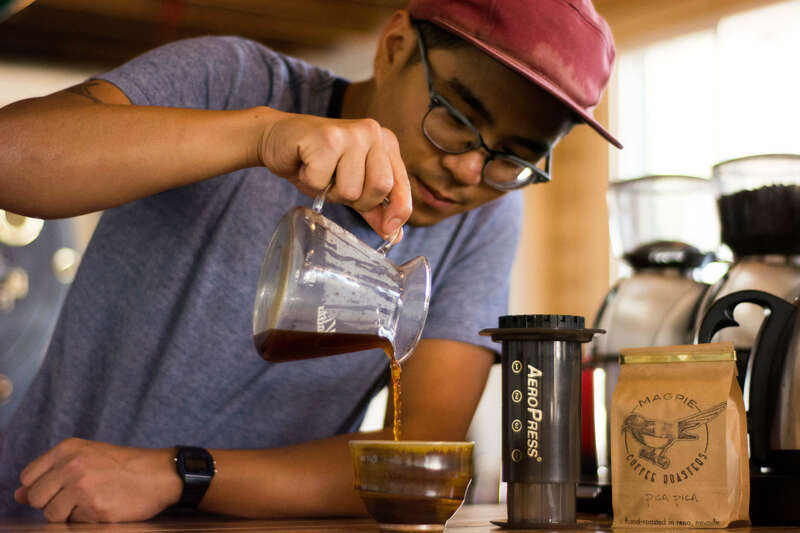 The next best methods for getting extra caffeine, in rough order, are: moka pot, aeropress, French press, then drip (with Chemex/pour over, and cowboy methods being the least successful). How can I make my coffee taste more bitter? A strange question, but as a black coffee drinker who appreciates bitter flavors, this may very well be a question you are asking yourself. I know I have. Generally speaking, extraction has the most influence over bitter flavoring. If you over-extract the water, it will tend to have a more bitter flavor. This means, that if you keep the coffee grounds in the water for too long, it will tend to get that bitter flavoring. The reason this happens is because the various molecules with flavors are essentially being broken down by being in the near boiling water for too long. Caffeine itself tastes bitter, and its melting point is quite high, leaving it mostly intact while eliminating amino acids and other things that might mask the caffeine’s bitterness (fun note: some decaf coffees has bitterness added to it, because when you remove the caffeine it just doesn’t taste like coffee anymore to many people). The other way you can perhaps unintentionally over-extract is by having too small of a grind size. The finer the grind, the more easily the water extracts everything, and the more easily over-extraction will occur. 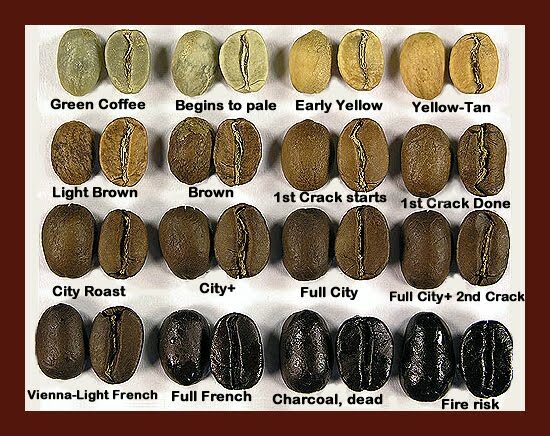 How do I make coffee darker? Unless you are roasting your own coffee, this is all determined when you either buy the coffee grounds or when you order your coffee. The grind size, water extraction, and brew method all do not influence this variable. Sometimes the type of roast is not very clear though, in which case I recommend you check out this article. People tend to correlate darker coffees with higher caffeine or a higher bitter taste, and that is incorrect. The darkest roasts tend to have less caffeine overall, losing some to the roasting process. The “darker taste” you experience with a dark roast is actually more due to the literal roasting, and not so much the bean itself. In fact, darker roasted beans lose most, if not all, of their local unique flavors. Bree Ward on Does coffee increase workplace productivity? Kick dull coffee habits to the curb. Get freshly baked gourmet cookies and international craft coffees hunted down by top notch coffee snobs with a sweet tooth.